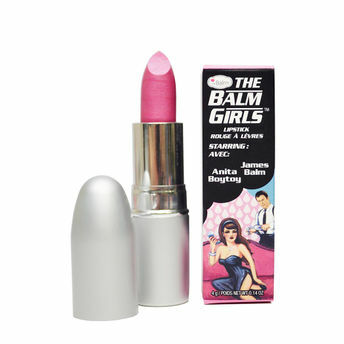 Pucker up your pout in style with theBalm Girls Lipsticks! Richly pigmented, these gorgeous lipsticks enriched with vanilla-mint, are long-lasting and conditioning to the lips. TheBalm Girls sleek packaging can infiltrate even the smallest evening bag to give your lips all the secret service they need! Infused with double agents, these lipsticks provide your pucker with amazing pigment and rich conditioners. - Offers rich pigmentation and long lasting wear. - Deeply moisturizes the lips and conditions them. - Available in 6 stunning shades. Explore the entire range of Lipstick available on Nykaa. Shop more theBalm products here.You can browse through the complete world of theBalm Lipstick .